One of my new favorite foods is lettuce wraps. It started when my daughter and I went to a Thai restaurant and I had them. From the first bite I fell head over heels in love with them. Since then — I have recreated many different flavors of lettuce wraps. 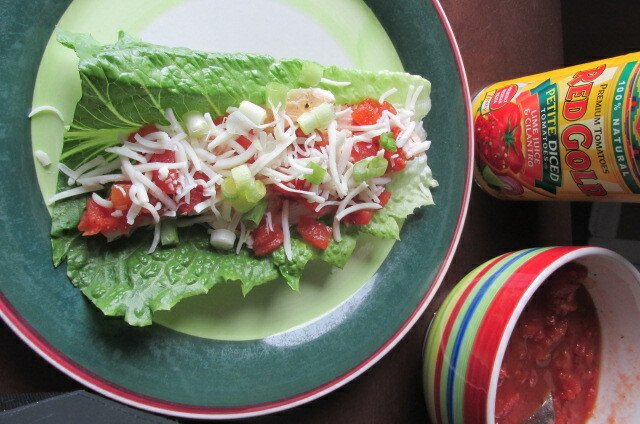 We have had Asian, BBQ Pork, Tacos, and now, I can add Mexican Grilled Chicken Lettuce Wraps to that list as well. This, you see, is grilling season — and what better way to celebrate it than with my favorite Mexican dish. 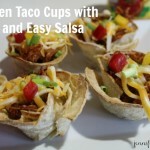 I topped these with delicious Red Gold Tomatoes, which added a serious punch of flavor. 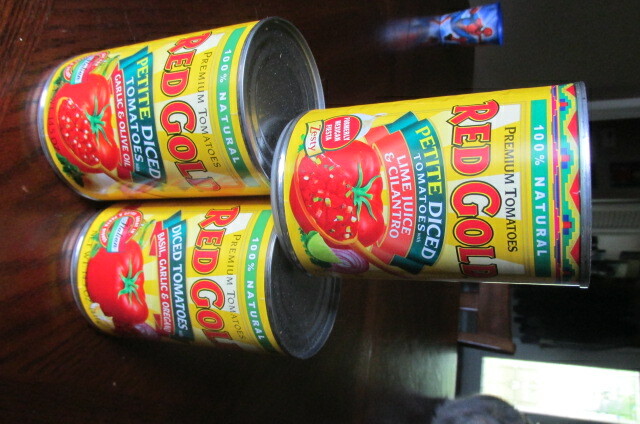 Red Gold sent me a variety of their premium canned tomatoes in order to create a summer grilling recipe and the minute I saw the Lime and Cilantro tomatoes, I knew exactly what I was going to make. 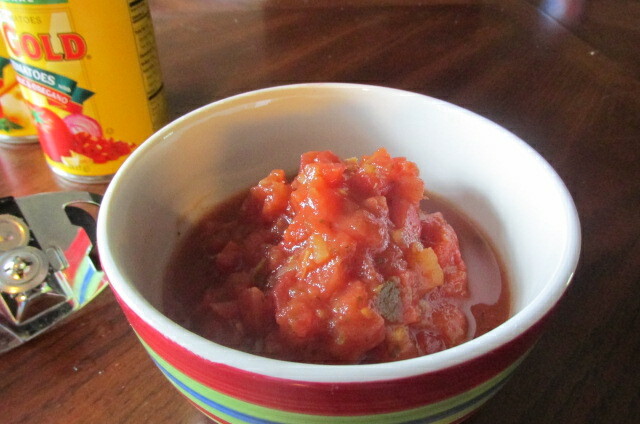 With Red Gold Diced Tomatoes in varieties like Garlic & Olive Oil; Green Chilies; Basil, Garlic & Oregano, Chipotle and Lime Juice & Cilantro – the ideas and recipes they supplied were many. Making this dish was real easy and literally only took me about 15 minutes to make. 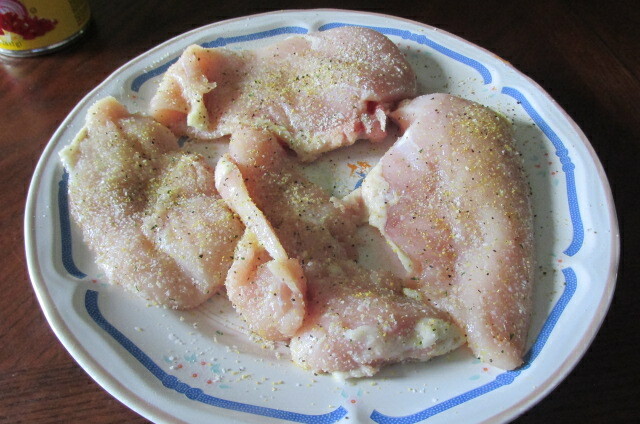 For the first step, simply season your chicken breasts with garlic salt and lemon and pepper seasoning to get them ready for the grill. These 3 chicken breasts cost me about $3.00, which by the time I am done will feed an entire family of four. 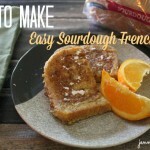 That is one of my tricks to stretching our monthly food budget. If you dice up meat, it goes farther in dishes. 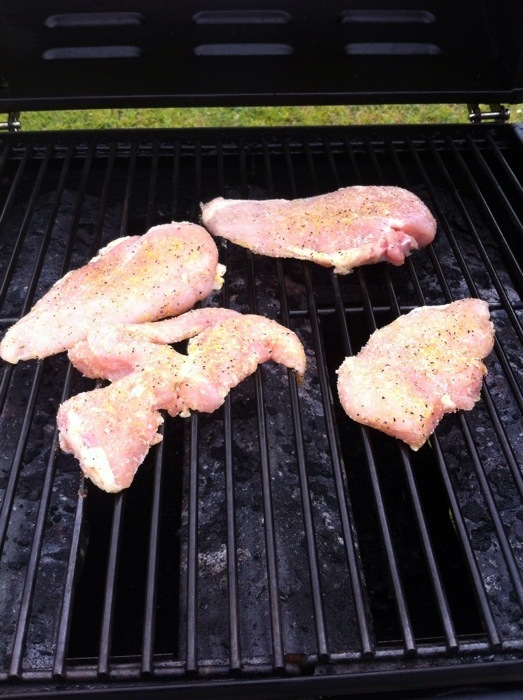 Once your grill heats up to your desired temperature, throw them on the grill. 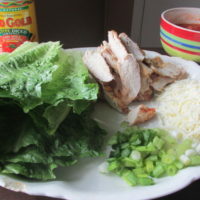 While your chicken is cooking, go inside and prepare a plate with your lettuce leaves, chopped green onions, and cheese. 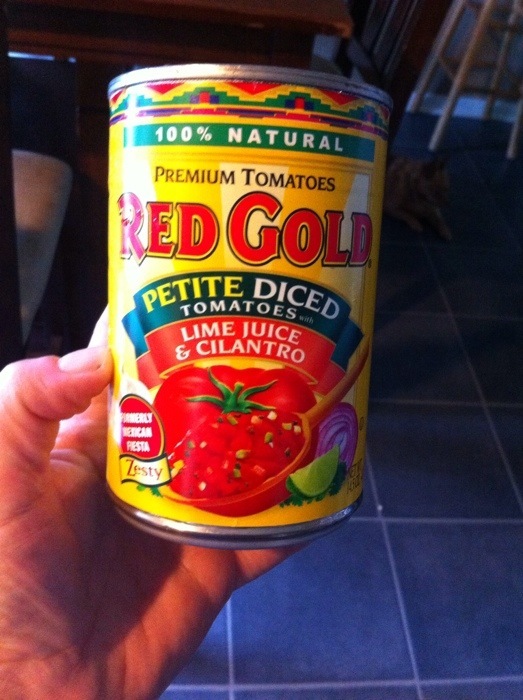 Then place your Lime Juice and Cilantro Red Gold Tomatoes in a bowl. 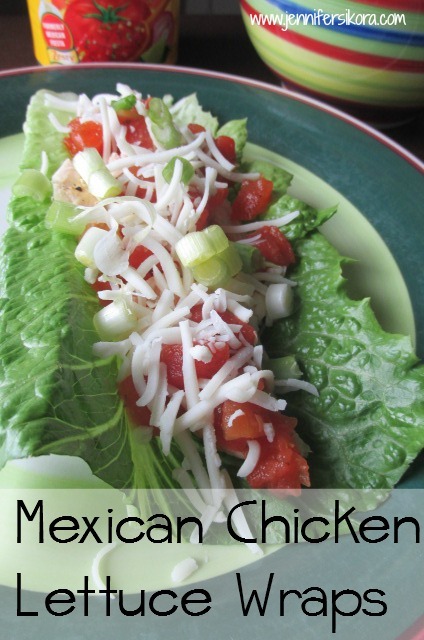 It makes the BEST topping on tacos, burgers, or my lettuce wraps. Once the chicken is cooked, bring it in and let it rest for a little bit. 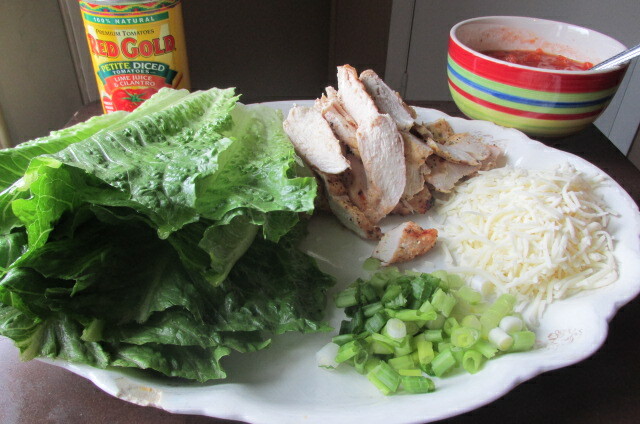 Once it has rested, slice it on the bias (in a diagonal fashion) to put on the lettuce wrap. 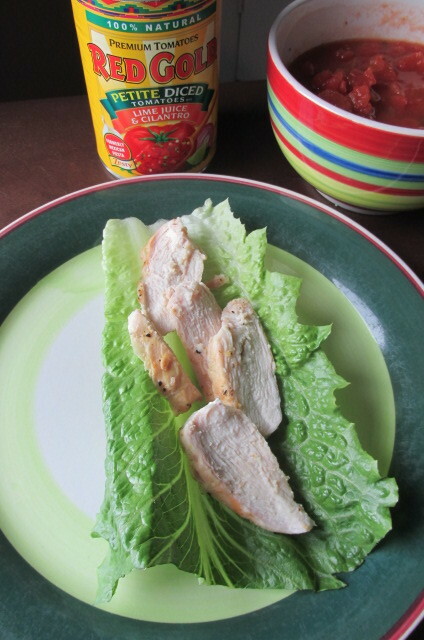 After you slice the chicken, you can prepare your lettuce wraps. 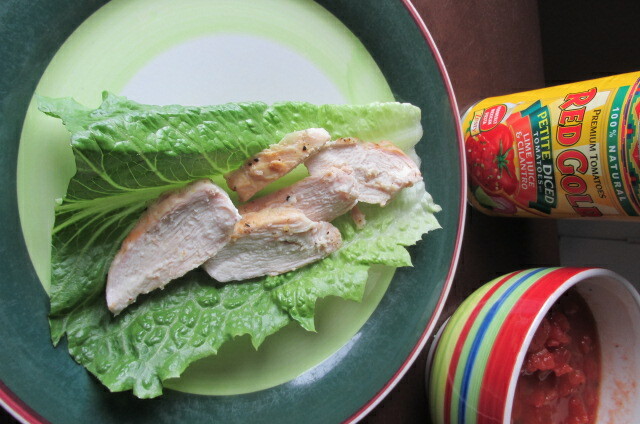 Start by laying a lettuce leaf on a plate. I just used Romaine Lettuce because it was on sale at the grocery store. Top it with a few chicken slices. 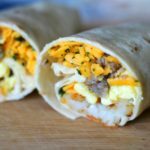 Then layer it up with your favorite toppings. We used Lime Juice and Cilantro Red Gold Tomatoes, Queso Cheese, and green onions. We let my daughter be the taste tester and she definitely said they were 2 thumbs up! Season your chicken and place on the grill. After about 4 minutes, flip chicken and cook the other side. Check to make sure that your chicken is done when a thermometer inserted reads 170. Place chicken aside and let it rest for a few minutes. 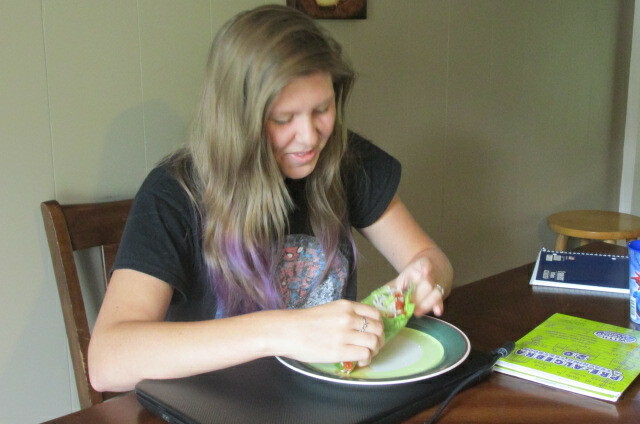 Separate lettuce leaves and place them on a platter. Slice your green onions and place them on the platter. Place a pile of shredded cheese on the platter. 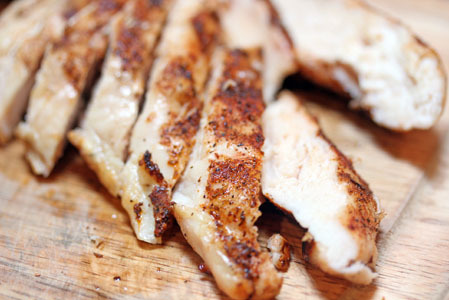 Take your chicken and slice on the bias and place on the platter. 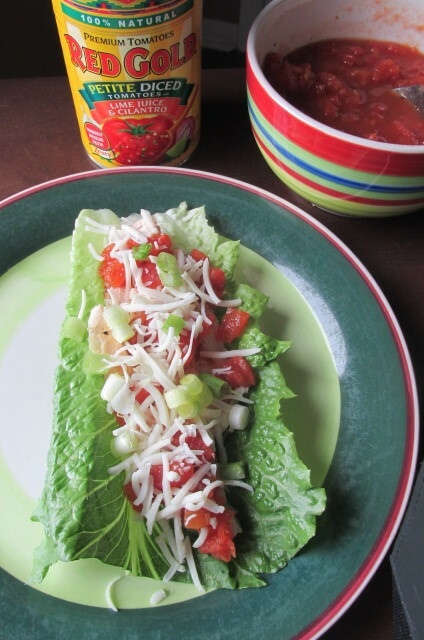 Serve to your family and let them build their very own Mexican Grilled Chicken Lettuce Wrap. Top with the Red Gold Tomatoes for added flavor. Red Gold & the Big Green Egg are partnering to bring you simple and delicious Summer grilling Burger recipes that are simple and delicious. This summer, upgrade your burgers by adding flavor, texture, moisture and nutrition by mixing 1 – 14.5 ounce can of Red Gold Petite Diced flavored Tomatoes into your ground meat mixture. 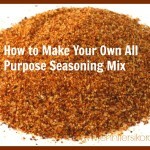 Try any of the six easy Burger recipes or create your own. Also go visit Red Gold’s Facebook page and enter their Summer Grillin’ Party Promotion for your chance to win a Large Big Green Egg and each week 1,000 people will have a chance to win a Red Gold Apron (contest ends July 23, 2014). 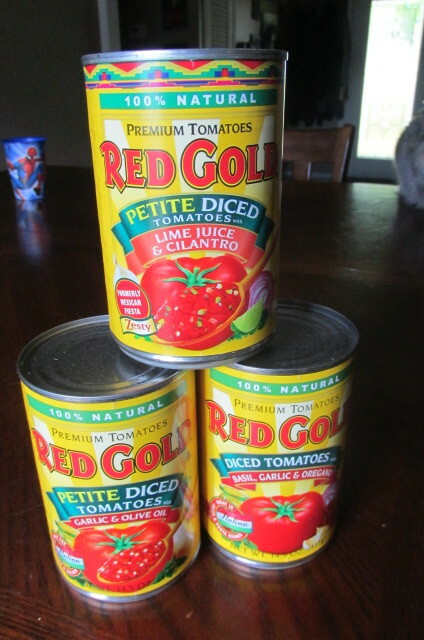 Don’t forget to sign up for coupons and recipes by joining their e-newsletter or read their weekly blog at www.RedGoldTomatoes.com. 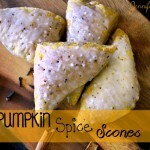 Jennifer, Thank You for the great recipes sounds so good and so easy to do. Have a Great Day!